Growing up in France, David’s athletic background started from a young age; playing high level soccer for many years, training as a mixed martial artist and more recently professional boxing. However, it was here in Australia that David found his passion for yoga, a daily practice that offered him not only a physical challenge, but also integrated spirituality. Having had a meditation practice since the age of 7, David is now able to holistically combine his love of unique movement and mindfulness. 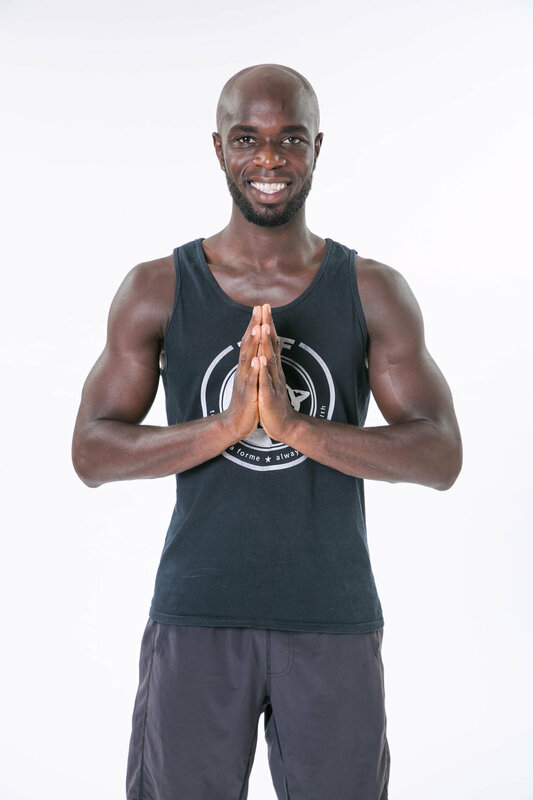 David shares his love of the arts by exploring and delving deeper into the union of his passions through Budokon Yoga (a fusion of Martial Arts and Yoga). Mixed movement builds a new level of skills, strength and body awareness that take athleticism to new heights and invokes the warrior spirit within. David's classes are dynamic and creative but he also brings a lightness to his teaching which allows you to relax and have FUN. He is here to share, inspire and push boundaries, leaving you with a deeper message far beyond the security of your yoga mat. As a student of yoga, Danielle is always learning, growing and expanding her boundaries. Through yoga, she believes in the constant evolution of self- discovery that sheds a light on making conscious choices for a brighter future. Danielle is a passionate Vinyasa yoga teacher and loves creating unique sequences that keep you in the present moment. Danielle teaches dynamic movement, her classes are designed to increase strength of body and mind. She encourages the exploration of your body through a moving meditation, feeling your way through the pulsations of breath that allow for space and depth in each pose. Her inspiration comes from her muse, love and fellow yogi David, followed by her beautiful daughter Mahalia. Danielle has completed two x 200 hour teacher trainings, one with the world-renowned Shiva Rae. Her teaching style has evolved from studies with Simon Park, Maty Ezraty, Noelle Connelly and Joan Hyman.